Congrats to Bioengineering Departmental Award Recipient, Ernest Lee! 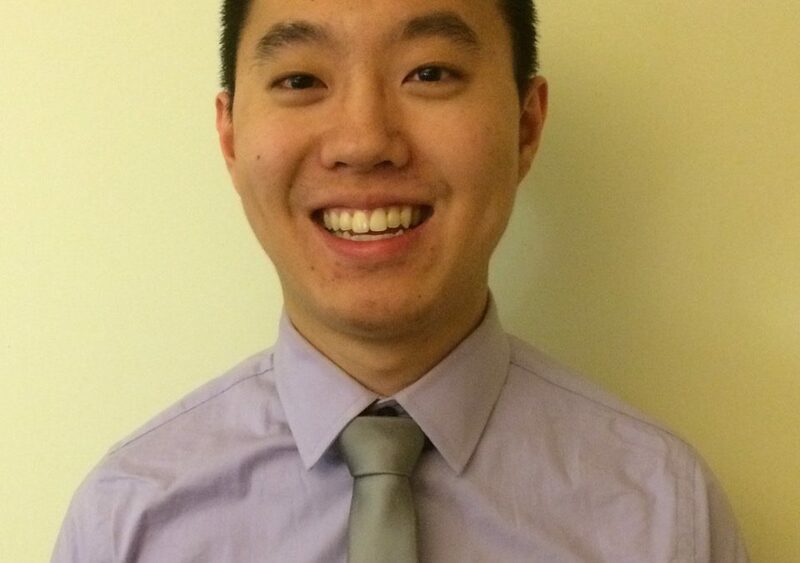 Ernest Y. Lee is currently a 3rd year medical student in the UCLA-Caltech Medical Scientist Training Program. He completed his Ph.D. in 2018 in the lab of Dr. Gerard Wong in the Department of Bioengineering and will graduate with an M.D. from the David Geffen School of Medicine in 2020. He received a B.S. with honors in physics from the California Institute of Technology in 2012. To follow his work, check out his website. What appealed to you about pursuing your Ph.D at UCLA and how did you get interested in your field? When I was applying to M.D./Ph.D. programs as a senior in college, I wanted to join a community that had a strong reputation for multidisciplinary research in both engineering and medicine. In particular, I was impressed by the presence of robust collaborations between clinicians in the medical school and labs in the School of Engineering. My undergraduate work focused on developing a high-throughput pipeline to map the mutational landscapes of protein stability, in order to improve algorithms for computational protein design. At the time, I wanted to design therapeutics for neurological and neuropsychiatric diseases in graduate school. However, I ended up going in a different direction. During the first two years of medical school, I rotated through several labs, including Gerard’s lab. I was especially drawn to his group because of the unconventional combination of techniques used to engage important unsolved biomedical problems, especially in infectious disease and immunology. This was very exciting because it perfectly married my broad interests in biophysics, quantitative biology, clinical medicine. Can you explain your Ph.D. research in general terms? How could this be applied? During my Ph.D., I was fortunate to work at the intersection of multiple fields, including physics, bioengineering, computer science, and immunology. I applied techniques like X-ray scattering, machine learning, computer simulations, and immune cell experiments to answer questions lying at the interface of infectious and autoimmune diseases. Your innate immune system consists of several arms that work together in concert to defend against infection. These components include antimicrobial peptides (AMPs), immune cells, cytokines, and pattern-recognition receptors (PRRs). Antimicrobial peptides are a class of broad-spectrum antibiotics produced by your own body that kill bacteria by punching holes in them. However, they also have the dual ability to communicate to your own immune system through PRRs, which potentiates the immune response. In certain autoimmune diseases, where your body starts attacking itself, these AMPs are overexpressed and hyperactivate PRRs, leading to unwanted, harmful inflammation. We found that AMPs signal through PRRs by organizing and scaffolding nucleic acids like DNA and RNA into nanocrystals via electrostatic interactions, which are then internalized and recognized by immune cells. In psoriasis and lupus, two incurable autoimmune diseases, the molecule LL37 forms nanocrystals with your own DNA and RNA to amplify inflammation through Toll-like receptors (a subclass of PRRs). We are now applying these ideas to try to understand what goes wrong in other autoimmune diseases like scleroderma and rheumatoid arthritis. I hope to eventually extend this work to autoimmune neurodegenerative conditions and develop therapeutics that can disrupt this unusual pathway of immune amplification. In addition to this work, we also developed an artificial intelligence-based screening tool to design and discover molecules that can punch holes in cell membranes. We trained this algorithm initially to identify new AMPs for clinical use, given the great need for new antibiotics to treat drug-resistant infections. However, we quickly discovered it could also be used to discover hidden membrane-remodeling activity in new and existing families of peptides and proteins. This has proved to be an invaluable tool in identifying multifunctional properties of immune system proteins, suggesting that nature intelligently multiplexes both antimicrobial functions and immune-signaling functions into the same domain. I am returning to medical school to finish up the last two years of my M.D., as part of the MSTP program. During the third year of medical school, I will be rotating through several UCLA hospitals, getting hands-on experience with patient care. I am especially excited to treat patients who are affected by the very same diseases that I am studying in the laboratory. After finishing medical school, I aim to do a research-track residency in dermatology or rheumatology. My long-term goal is to set up my own basic research lab at an academic medical center and see patients in my own clinical practice. Your most memorable UCLA experience? I can’t pinpoint one specific memorable experience since there were so many. I loved my time in the Wong group. My strongest memories are of our food adventures during our intense synchrotron runs and the colorful scientific discussions we had while establishing our paradigms for membrane activity and immune modulation. It was amazing to be surrounded by passionate, clever scientists who loved making new discoveries.